Poland plans to allow civilians to sign up for military training. With anti-Russian hysteria spreading like wildfire, Warsaw has rushed to step up its defense systems amid fears over the ongoing military conflict in neighboring eastern Ukraine. 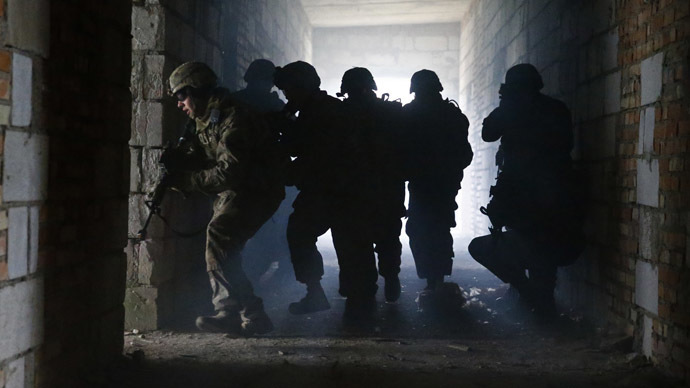 "All citizens interested in taking part in military exercises will be able to sign up starting March 1" at regional recruitment centers, Polish Defense Minister Tomasz Siemoniak told reporters on Thursday. Although Poland, Central Europe's largest country, ended conscription in 2008, Siemoniak said that some 38,000 reservists would be called up to take part in exercises in 2016, compared to the 12,000 this year. The ministry also plans to involve paramilitary groups in its new defense policy, AFP reported. Since the crisis broke out in eastern Ukraine, Poland, a NATO member state, has been busy revamping its armed forces. Warsaw plans to spend 33 billion euros ($37 billion) over a decade on the overhaul. "The chances of a peaceful resolution to the Ukrainian crisis are increasingly slim. Russia’s obvious goal is to block Ukraine's path toward Europe," Siemoniak said, adding that Russia's use of "military means" poses "a long-term threat to Europe." Poland currently spends 1.95 percent of its GDP on the army, with a further surge in its defense budget set for 2016. It's one of the highest rates of military spending. Last year Poland spent $4.7 billion on 48 US-built F-16 fighters, according to The Economist. The US, NATO's dominant power, has been pressing its European allies to boost their defense investments, citing the Ukraine crisis. There were 100 intercepts of Russian aircraft in 2014 – three times as many as 2013 – according to British Defense Secretary Michael Fallon. Moscow says the surge in air patrols near the borders of the NATO members is a response to the alliance beefing up its European presence in the wake of the Ukraine crisis. A NATO military buildup is listed among Russia’s major threats in to the updated version of the country’s military doctrine, adopted in late December. NATO nations in their turn have been worried by Moscow having increased its air patrols near their borders. Eight northern European nations have agreed to step up military training and data sharing to oppose an alleged "invasion" of airspace by Russia. The agreement for closer cooperation between Nordic and Baltic countries and Britain was reached in November. In September the US State Department gave the green light to a $500 million arms deal with Poland, including the sale of 40 advanced cruise missiles and upgrades to their F-16 fighter fleet. US Ambassador to Poland Stephen D. Mull welcomed the sale approval of 40 Joint Air-to-Surface Standoff Missiles (JASSM) for the Polish armed forces. “This sale demonstrates the very strong commitment of the United States to supporting Poland’s defense modernization, and will strengthen Poland’s capacity to meet current and future threats from enemy weapons systems,” Mull told theNews.pl. While NATO is building up its presence in the Baltic region in fear of “Russian aggression,” Lithuanian Defense Minister Juozas Olekas unveiled a manual earlier this month which advises its citizens how to survive a war on its soil. The 100-page pamphlet, entitled, "How to act in extreme situations or instances of war," instructs Lithuanians how to “act during the organization of civil resistance, but also how to act under battlefield conditions." The book also contains information on governmental changes following a declaration of war and procedures for evacuating a building.